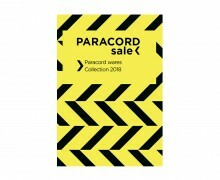 Paracord.sale - paracord wholesale shop. 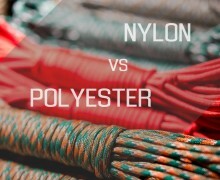 We are a manufacturer of paracord and different wares made from it. 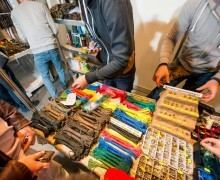 Paracord is an all-purpose product which will come in handy in many spheres of life. Due to its properties, it is admired all over the world. In manufacturing we use high-quality polyamide threads which are of the best quality. Thanks to the large warehouse our products are always in stock. Getting from us you will feel the professionalism of our team, European approach and customer orientation. Our production goes through several stages of quality control before it is sent to customers. We pack paracord on 10, 20, 30 meters rolls and 100, 300 meters spools. You can get a 25% discount if your order is larger than 10 kilometers. We are glad to inform you about exhibitions EDCX (Fibex) team takes part in. 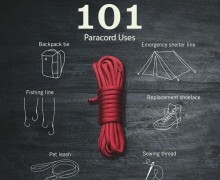 Paracord is essential to daily life! It is widely used in manufacturing of clothes, bags, strings, bages, vests, functional and original accessories. Thanks to its multifunctionality and reliability paracord can be used on a daily basis, in tourism and for military needs. Paracord was begun to use in the last century. During the Second World War American paratroopers cut suspension lines after landing and continued to use it for different purposes. Experts recommend 20-30m of cord stored as additional safety measures in case of emergency.